When it comes to healthcare, it is important to have advanced equipment, safe procedures, and a high standard of excellence. This quality of care is especially valuable in the field of anesthesiology. Anesthesiologists spend years of training to treat patients with certain medicines to put you into a sleep or relaxed state so you don’t feel pain during surgery. This pain treatment can range from delivering anesthesia during surgical procedures, caring for ill patients in a critical condition, and management of acute and chronic pain conditions. Tim Bittenbinder, MD is the Chair of the Scott & White Department of Anesthesiology in Temple, Texas and is highly trained in safe anesthesiology. As you may assume, this field is constantly evolving. Medical practitioners and researchers are looking for better safer ways to administer relief to patients in need. As a patient, I’m sure you take caution when there is need for anesthesia. Some people feel nervous about being out of a conscious state, and a lot of trust goes into your doctor to make sure things are administered properly. Many people are aware of ultrasounds.. What you may not know, is ultrasounds can help guide anesthesiologists to allow them to see where the needle is placed under the skin to accurately place local anesthetics. This helps them get proper placement around the nerves that transmit the pain. “The use of regional anesthesia to provide pain control in surgery patients as well as inpatients has become routine for many surgeries at Scott & White,” says Dr. Bittenbinder. The second major advancement Dr. Bittenbinder highlights is the use of a video laryngoscope. This is a device that is inserted into the mouth that allows doctors to see your vocal cords or larynx. This is important and necessary because anesthesiologists often place an airway tube that allows the physician to control your breathing. 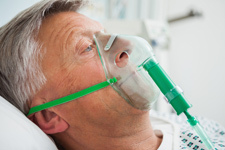 If you are under anesthesia, you are often placed on a ventilator that helps you breath during the operation. For these types of patients special techniques are required that are time consuming, technically challenging and often uncomfortable for patients. It is hard to understand what is going on and what to do when you are awake, sedated and trying to follow directions to get your breathing tube properly placed. “The video laryngoscope is a relatively new device that allows us to visualize the vocal cords in situations where it was impossible before,” explains Dr. Bittenbinder. At Scott & White, anesthesiologists can in a sense “look around a corner” to see more. On a video display, doctors have a clearer view of the larynx and airway structures allowing intubations in patients under general anesthesia. As for quality of care for you as the patient, you are now much more comfortable and at less risk during this part of your procedure. For more information about the high quality care and advanced technology at Scott & White, visit our pain services or anesthesiology care for children. Previous Previous post: How Worried Should You Be About The New SARS-like Coronavirus?